By easily configuring with Dino-Lite, the BL-CDW transmitted-light illuminator provides alternative ways to enhance the contrast of specimen with bright field and dark field modes. The bright field mode of BL-CDW, which produces a collimated beam of light with no adjustment required, largely reduces the scattered light and therefore may reveal more detail comparing to a diffused backlight. By switching to dark field mode with a simple touch, the BL-CDW generates a hollow cone of high-intensity light to form dark field illumination. The oblique illumination may reveal more surface details that are not well imaged under bright field illumination. 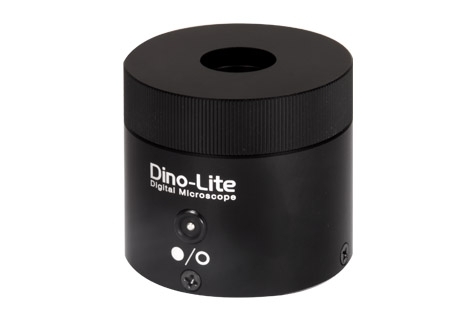 Note:The BL-CDW is suggested to be used with Dino-Lite at magnification higher than 100x.